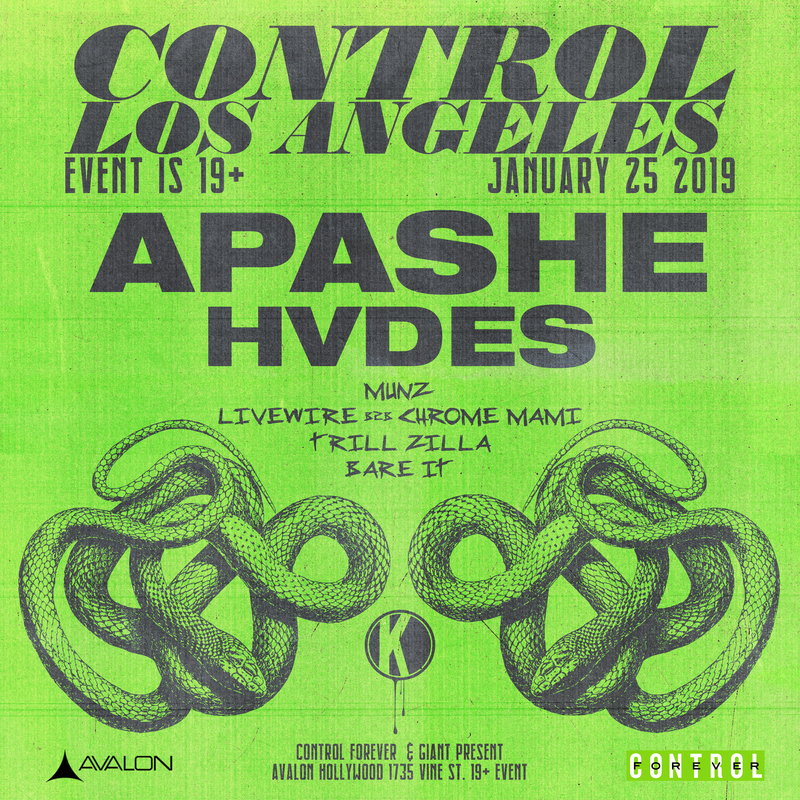 On January 25th, CONTROL Fridays will be hosting Apashe and HVDES. Prepare yourselves for a night of deep, dark dubstep, trap, and electro house with these two. Originally from Brussels, Apashe moved out to Montreal to study electroacoustics at Concordia University. He’d always known his passion for music, but making the choice to go to university to pursue it full time truly solidified his choice in career path. In 2011, he signed to Kannibalen Records, which allowed his career to launch even further. Most recently, he released an EP titled “Requiem EP,” which earned him a Gamiq award in Quebec for Best Electro EP of the Year. Next on the lineup is another member of the Kannibalen family - HVDES. As a Los Angeles local, she notes that she was surrounded by hip hop producers during her time at the LA Recording School. Although she took influence from hip hop and wove it into her electro house style, she made sure to stick to her own sound to produce the dark, heavy beats that she releases today. This past year, she came out strong with her debut EP “Revelations,” and if her future projects are anything like this one, the electronic music community is in for a treat. Prior to these two sets, we’ll be getting some local back to back action on the decks with MUNZ and Livewire b2b Chrome Mami. In addition Trill Zilla and BARE IT will be kicking things off. 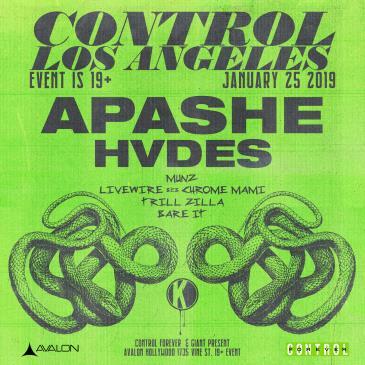 Make sure to reserve January 25th for this edition CONTROL Fridays with Apashe, HVDES, MUNZ, Livewire b2b Chrome Mami, Trill Zilla, and BARE IT. Get your tickets now!